Addressing the individual and collective harm caused by wrongful convictions. Healing Justice is a national nonprofit organization addressing the individual and collective harm caused by wrongful convictions, through restorative justice and justice reform. 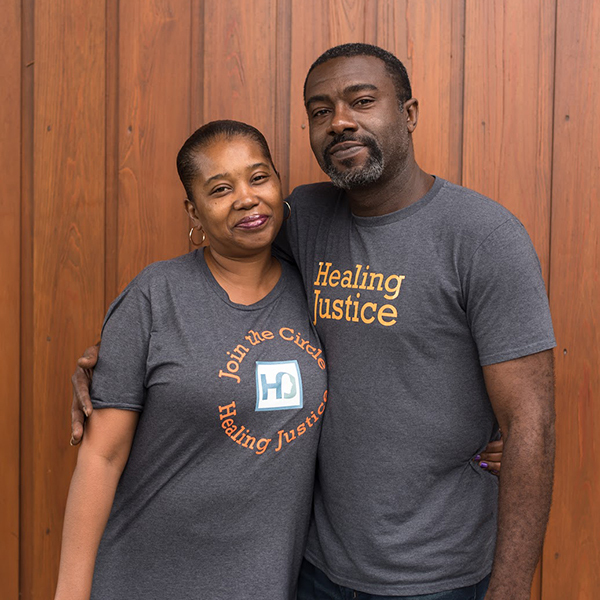 Healing Justice was founded by Jennifer Thompson based on her personal experience as a crime survivor whose case resulted in an exoneration more than a decade after the trial and conviction. Jennifer became a pioneer of restorative justice in these cases through building a close friendship with the innocent man wrongly convicted in her case. They later co-authored the bestselling book, Picking Cotton: Our Memoir of Injustice and Redemption. Jennifer went on to create peer support for other crime victims and survivors from similar cases before launching Healing Justice in 2015. Healing Justice serves all who have been directly harmed in these cases: crime victims, survivors, and their families, as well as the innocent who were wrongly convicted and their families. We also offer programs for others who have been affected by these cases: jurors, judges, police, prosecutors, victim advocates, and other justice and social service providers. Healing Justice’s work is led by real people with lived experiences, all of whom contribute their own unique perspectives to our goals and programs. Through all of our work we strive to restore the voices of those harmed and provide them with peer support and individual healing. We also strive to build relationships across all stakeholders to create collective healing and prevent future harm. We currently host four retreats each year in Richmond, Virginia, at the Roslyn Retreat Center. We cover all expenses including travel, food, and lodging from Thursday afternoon through Sunday afternoon. Our retreats create a safe space where individuals and families can share, bond, and heal from cases involving wrongful convictions and exonerations. "Share, cry, release, laugh, heal. That's what Healing Justice is to me. Thank you for helping put me back together again." "So healing and therapeutic. I learned so much and can use these tools in life." "I was able to reconnect to the person I left behind when I was sent to prison."